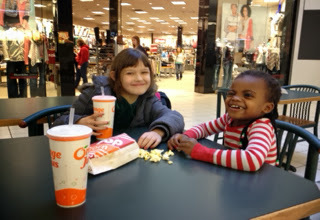 Saturday, I took my girls to the mall for some pampering. I realized again what a non girly-girl mom I am when nine-year-old Curly asked me what pampering was! Oops. So Curly and I got our hair cut. 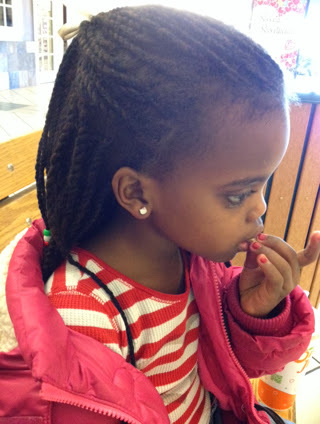 Abi, since her hair is in twists, got her nails done. 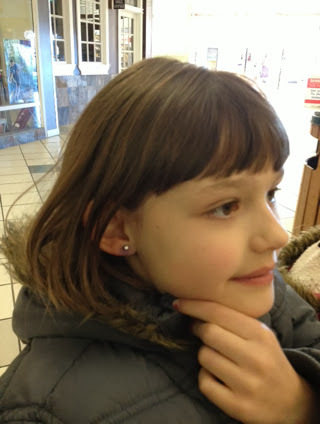 Both girls got their ears pierced. While I think the girls enjoyed the pampering, the flu has been making the rounds and they both felt a little under the weather. They would have had more fun if they were healthy.